Come celebrate writing, photography, and filmmaking at the September 2018 LitWings event! Social at 6:30, presentations 7 - 8 pm. 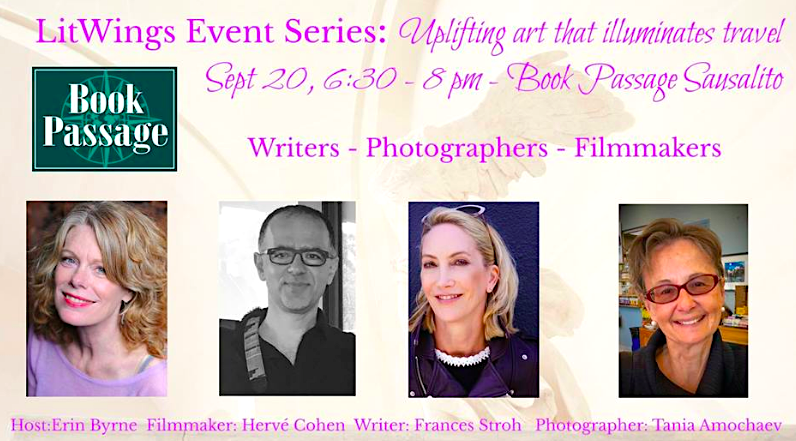 Filmmaker Hervé Cohen (Life Underground), writer Frances Stroh (Beer Money) and photographer Tania Amochaev join Erin Byrne for an evening of inspiration, travel, and creative secrets.